Responsive Tabbed Widgets – Aiming to Increase Usability through responsive tabbed-regions & drop-down-menus. This WordPress plugin adds a sidebar which you can then add widgets to. Output the sidebar anywhere in your theme (or post/page contents) using the [tabular] shortcode. Any widgets added to the sidebar will be displayed as tabbed content. The css-styles are still rough and I plan to add more options to the admin-interface. This is a beta release. Please email me your feedback. 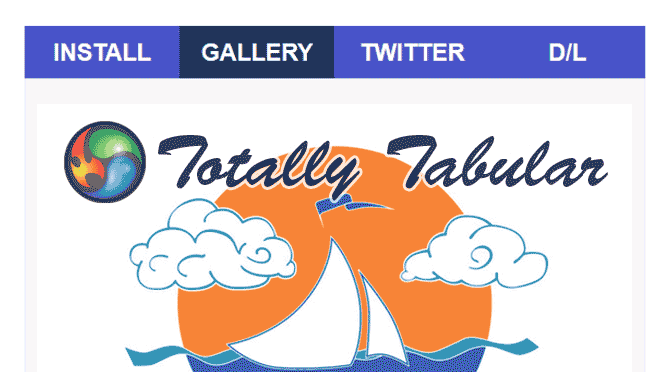 Use [tabular]-shortcode Tabular-Sidebar in your WordPress theme, posts or pages. Tabs will cycle automatically & switch between tabs when clicked. Use [tabular]-shortcode to include widgets added to the Tabbed-Sidebar in your WordPress theme. Tabs will cycle automatically & are clickable. As of right now the whole tabbed-area is css position:relative and the tabbed content-areas position:absolute. This is because the widgets are output in a title1,content1,title2,content2 sequence. I had to position the content areas a fixed amount from the top of their container to make room for the tabs / links… Any other configuration results tab/content/tab/content… Rather than tab/tab/rotating-content. Ideally I would like to see them output in title1,title2,title3 – content1,content2,content3 sequences so I could avoid using absolute-positioning which may not display where expected in some themes. It’s one thing to filter the widget titles… But I’m finding filtering the content output with each widget to be difficult, as there is no one way to format widget-content, and thus no one-way to filter them all to behave in this custom-formatted sidebar. Wow nice work. I’ll certainly begin testing this today. Thanks Chris! I find it’s quite versatile, hope you enjoy it.